OVER 50% of mammals need to outsource their core functions to a private contractor or face extinction, according to a right-wing biodiversity survey. 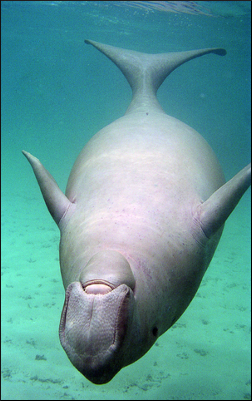 Is it time to privatise the dugong? The report, Evolve Or Die – Market Forces In Nature, was commissioned by a neo-conservative zoo looking to rationalise its stock using cost-benefit analysis. Thatcherite zoologist Bill McKay said: "Many species are lazy, feeble and totally unable to accept their place in the food chain. If natural selection were put out to tender they'd never have made it past the first round. "While the meerkats were able to mount a robust defence for their existence using a mixture of shared social responsibility and price comparison websites, the giant pandas just sat on their own children like some fat, nationalised public utility." McKay also condemned the three-toed-sloth for being trapped in the 1960s despite being given ample opportunity to turn itself into a lean, fast, hyper-efficient super-monkey. He added: "How much longer can the blue whale, the Siberian tiger or the dugong come scrounging for tax-payer handouts at the expense of faster economic growth? "If a blue whale cannot cut its costs, do more for less and generate significant annual returns then why should I be stopped from eating it?" McKay's zoo, the Wiltshire-based Adam Smith Institute For Self-Financing Animal Units, will make 400 Sri Lankan short-tail voles redundant later this week to make room for a 13-acre cow enclosure in a deal part-financed by Angus Steak House. BRITAIN'S oiks were last night on the brink of surrender. Across the country gangs of scallywags and ne'erdowells were on the run after a renewed offensive by the forces of anti-oikness. 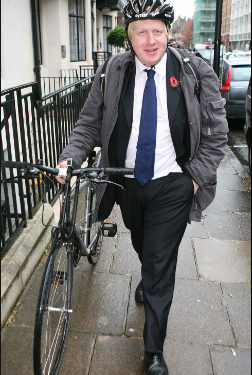 Charlie Reeves, a ruffian from Stepney, said: "They've only gone and got flippin' bicycles now. We're done for right good and proper and no mistake guv'nor. "I should mend me ways, so I should. Dress all gentleman-like and get a job on the railways. I'll be like 'Return ticket to Southend madam? That'll be two and six'. Yeah, that's the job for me." Tommy Booker, a toerag from Hackney, added: "The game's up for the likes of us. "Time was an oik and a scallywag could get together with a couple o' right old bastards and make merry 'ell up and down the Roman Road. "But now I 'ave seen the error of me ways. 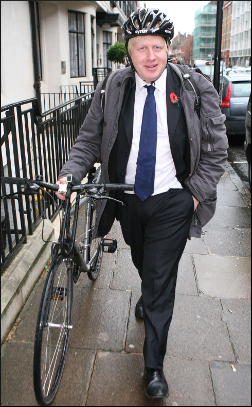 I've packed me meagre possessions into an old 'ankerchief and I'm off to the Square Mile to make me fortune. "Who knows, one day I may even have a bicycle of me own. And wouldn't that be a proper turn up?" But Mary Fisher, a rascal and part-time skank from Catford, said: "It's come to a pretty pass when a gang of lady oiks is scared off by the Mayor of London, I'll be bound. "I ain't frit of some old geezer on a bicycle. Do your worst you blond-haired nonce." She added: "Don't suppose you fancy a quick trip on the old Dutch Steamboat? You look like a nice fella, I'll do you for a fiver and a bucket o' whelks."